To add extras or standins to your call sheet go to the "Extras and Standins" tab in the call sheet creator. 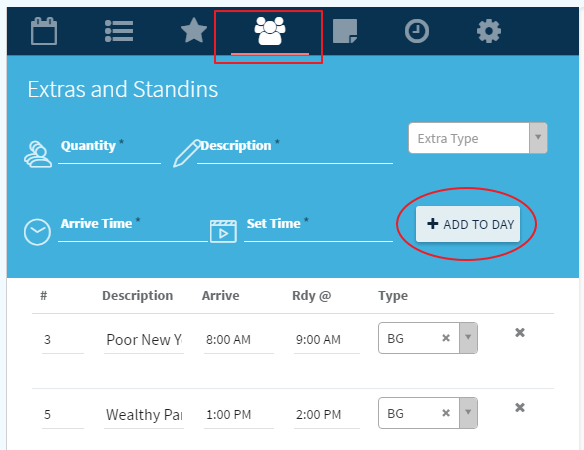 This section allows you specify all of the extras and standins needed for that specific day. It allows you to describe them and list their schedule times. You can also list multiple types or groups of extras for each day. 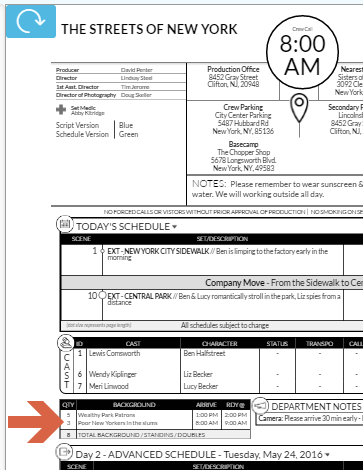 Your added extras and standins will appear in the "Background" section on the front side of the call sheet.